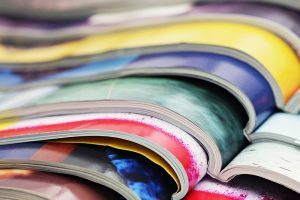 A recent prognosis about publications for consumers shows that it is expected that in 2020, consumers will still prefer printed media when it comes to books, magazines and newspapers. Although the publishing industry is changing, the relevance of printed media still remains strong. All around the world, great changes are taking place within the publishing industry, as printed books, magazines and newspapers have to compete for the attention of the reader with e-books, online publications and social media. Even so, printed media remains relevant for the publishing industry. 96% of the readers of printed and digital magazines indicate they will remain loyal to printed versions for the coming 12 months. 69% of the respondents find reading a paper newspaper more relaxing and more pleasant and 57% believe that reading books is the best way to learn things. Still, publishers need to work harder than ever to respond to the changing preferences of the consumer by developing new formats and models to increase their revenue. Sign up for our newsletter. And always keep up with the latest news!